My name is Grenac and I make games and stuff. Mostly I do programming but I try to understand ALL the things!. Everything here is stuff I made, including the page itself. I'm currently working on converting a game I made for the Ludum Dare game jam into a full game. You can play a demo of it here. If you have any comments or anything you can contact me here. I'm also available for hire. Remote work only, unless you happen to be from Croatia. As much as I'm interested in every aspect of game design and development most of all I am a programmer. As far as I can remember I always thought of things in terms of interacting systems, in that sense I've always been a programmer, even before I knew what a compiler was. I did eventually study some computer science but I got a job in a "serious" programming company before I could finish my degree. After a while it became clear that the project we were working on was going nowhere so I left to do other things. After that I studied some physics, which was really awesome. I was always interested in finding out how everything works. Plus they let me be a TA in programming there and that was really fun. But after a while that kinda got boring and I realised I could learn a lot more on my own so I quit college for good. Then I spent a year or two just soaking in stuff that I found interesting, which is more or less anything and everything. Some of it was useful, some of it was not, but it was all fun to learn about. Most of all I learned how to have fun while working on complicated problems. Now I'm trying to figure out how to create problems that are interesting and enjoyable to solve. Or games, as one would call them. Since I always felt that the best way to learn something is to just get up and do it I am now working part-time as a game developer for a US company. I have not yet published anything of my own but I'm working on it. I did some small pet projects in construct 2. That was fun but construct 2 is too limiting for some of the suff that I would like to make. Right now I'm having some fun with Unity3D and Unreal Engine 4 and I can say it's pretty awesome so far. Feel free to look around and don't forget to have fun. 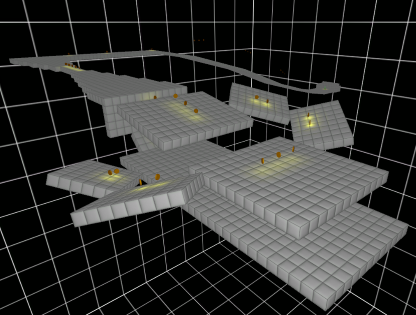 A 2D Antichamber inspired platformer. 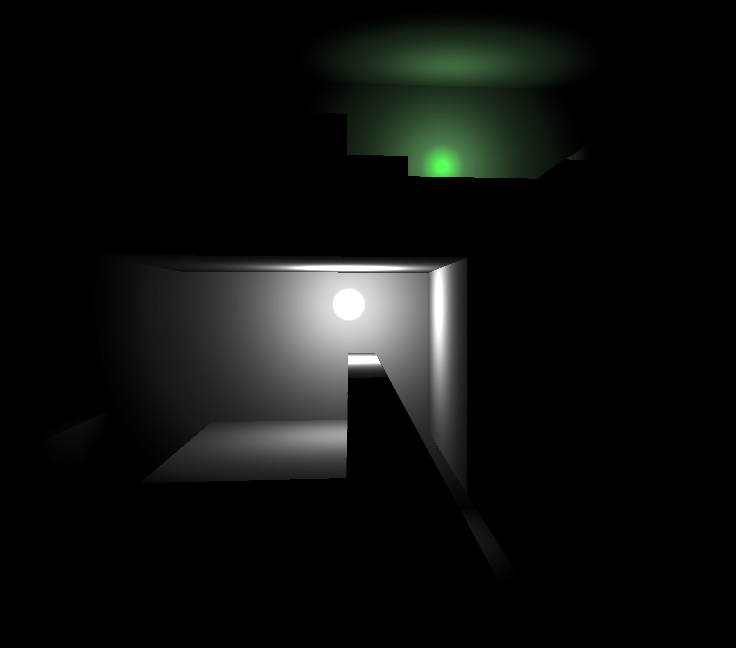 Lots of glowy and shadowy effects and stuff + physicsy controls. 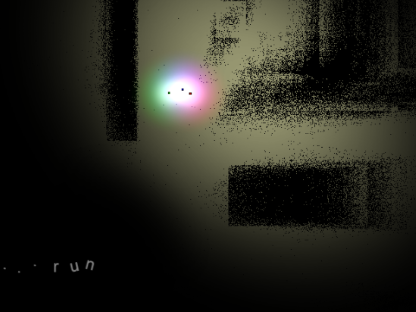 The walls move while you are not looking, and there is an ominous red blob chasing you. Can you out walljump the terror and survive the ANTIPLANE?!?! This is my entry for the Ludum Dare 31 game compo. I was really pleased with how it turned out so I'm converting it into a full game. It's gonna be awesome. A game about going really fast, jumping really high, and picking up coins. Heavily inspired by N from Metanet Software it's got awesome mechanics, 15 awesome levels and a awesome online hiscore system. The source code for this project is also freely available on bitbucket (link). First thing I made that could be called a game. It's got mechanics, atmosphere, music, a protagonist, even a sound effect. 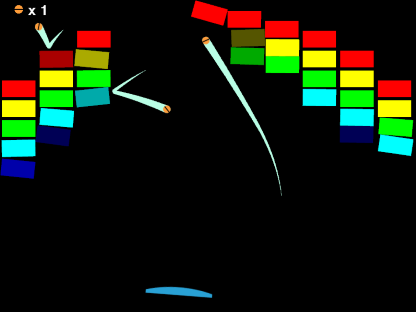 Something I made while exploring the physics of Construct2. It turned out to be fun to play, things can get out of control pretty fast. 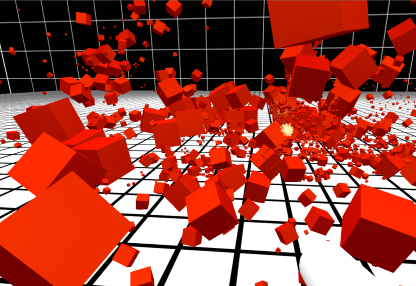 You start with one big cube and break it up into a bajilion little cubelets by shooting at it. Go and see if you can get the frame rate to drop under the minimum. I dare you! The object pool is made so that it can't cause the framerate to drop, no matter how many objects are created at once. The cubes are also sorted by size so that the small ones are reused first. As long as the maximum number number of cubes is low enough for the physics engine to handle it there will be no framerate drop. 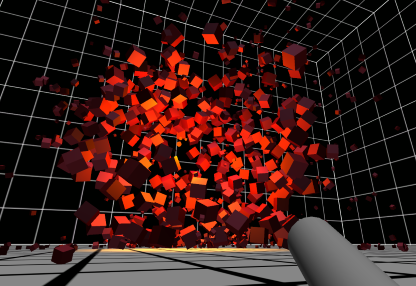 It's a giant angry swarm of cubes that is trying to kill you. See if you can destroy it before it manages to push you off the edge. This demo implements the object pool from the last demo and it uses a fancy parabolic aiming algorithm described in detail here.